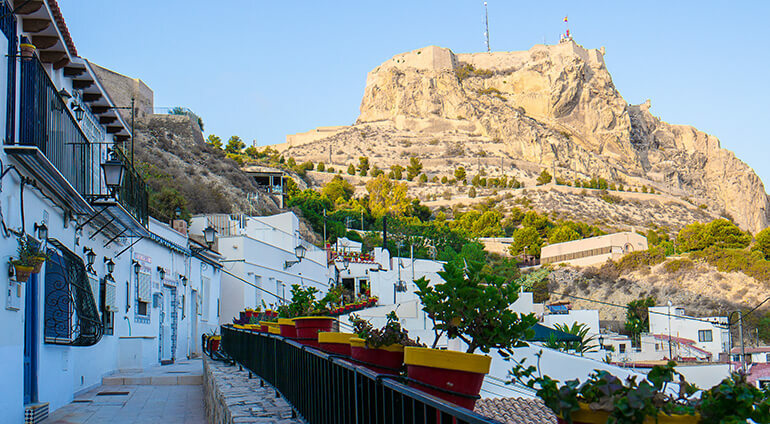 Alicante can provide a great base to explore the rest of the Costa Blanca. Guardamar del Segura, 37 miles to the south, has white sandy beaches believed to be some of Spain’s finest, as well as a busy Wednesday street market and plenty of shops and restaurants. Meanwhile, to the north historic Guadalest offers something entirely different. This picturesque village, said to be the most visited in Spain, sits on top of a pinnacle of rock overlooking a beautiful valley and reservoir. As well as the incredible views, its ancient castle built by the Moors over 1,300 years ago and the prominent Peñon de La Alcalá tower are two of the area’s most famous landmarks.